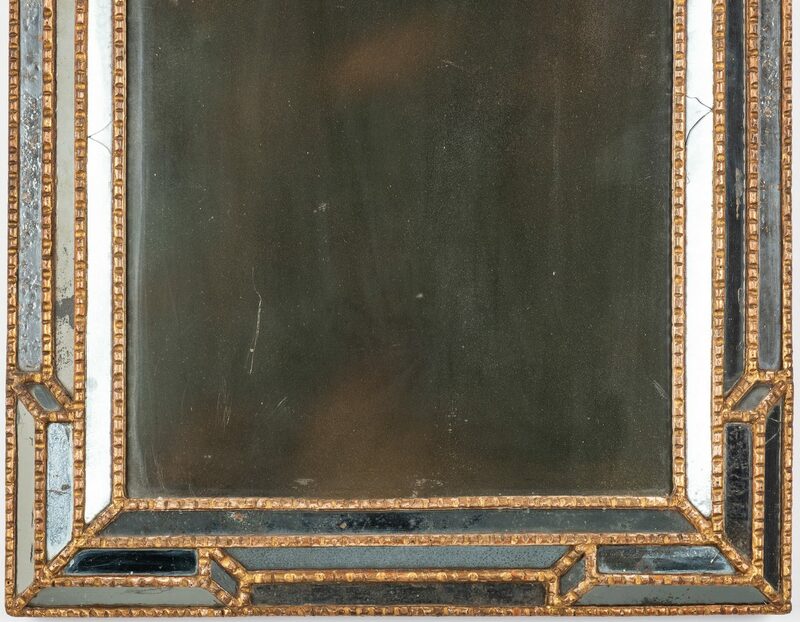 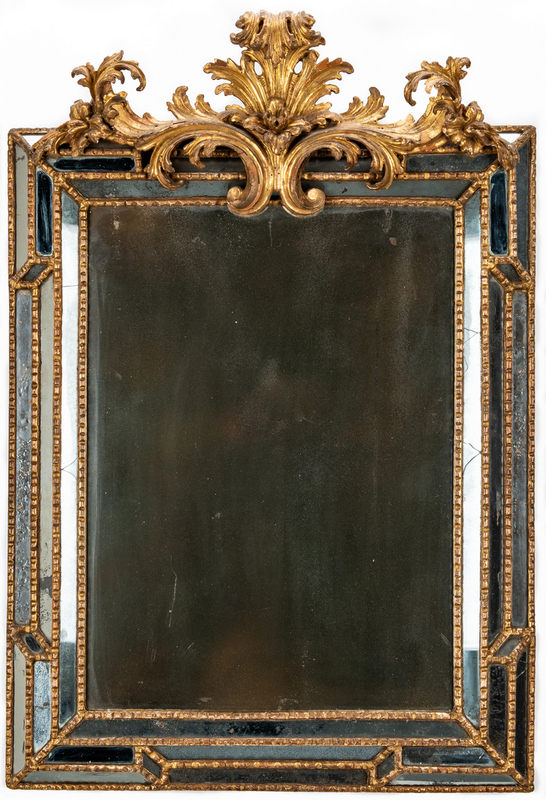 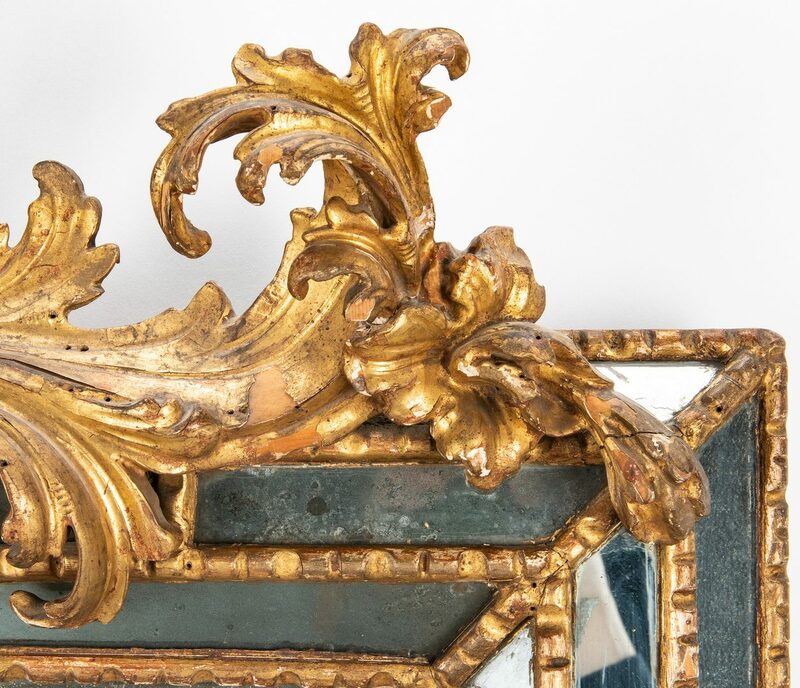 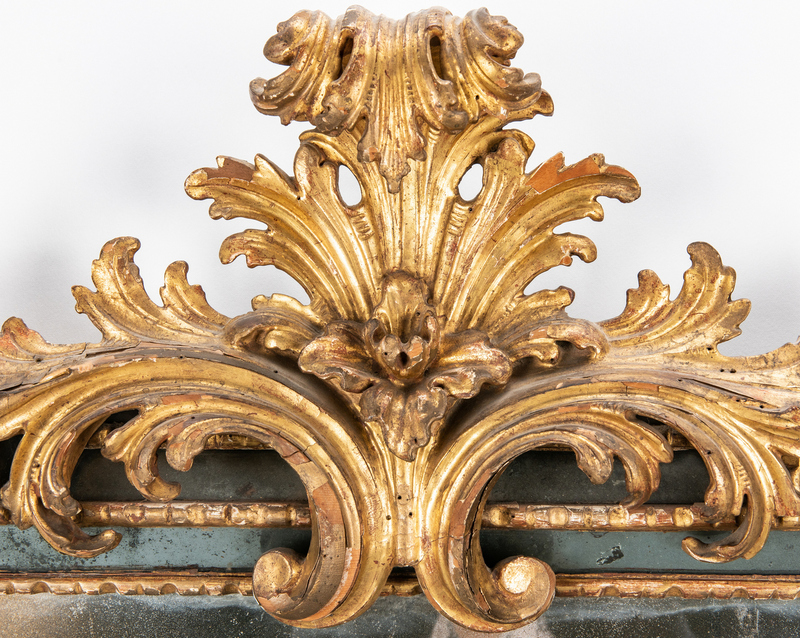 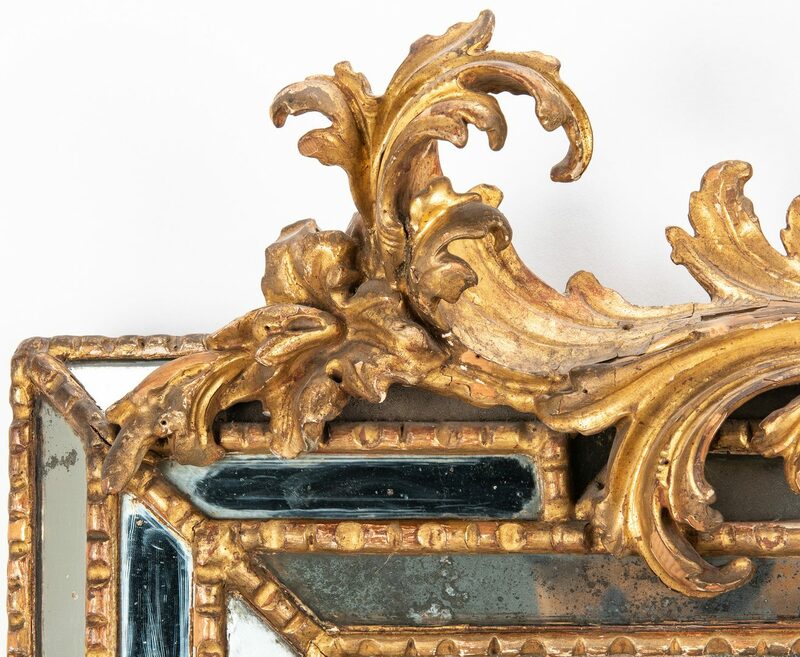 Antique Venetian looking glass, carved giltwood acanthus scroll crest over a canted and mirrored frame with giltwood beaded edging; central rectangular mirror plate. 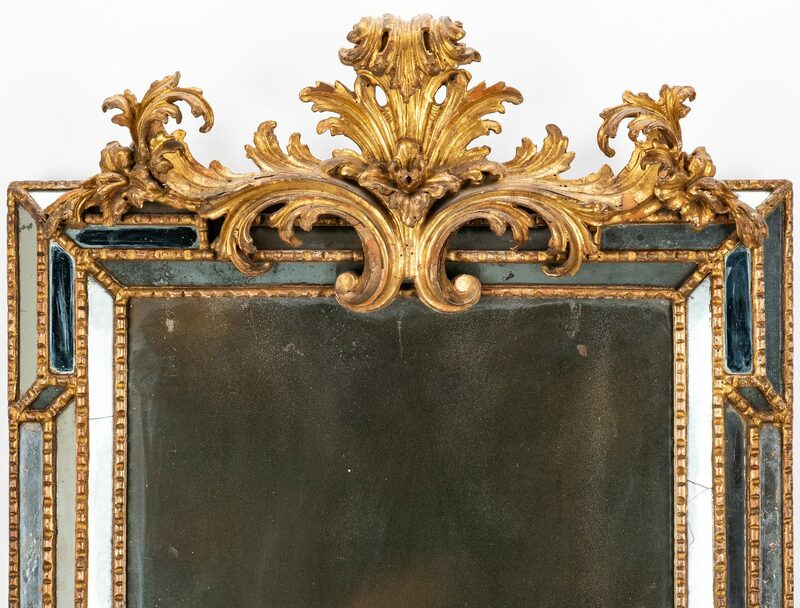 44" H x 29 1/2" W x 7" D. Italian, 19th century. 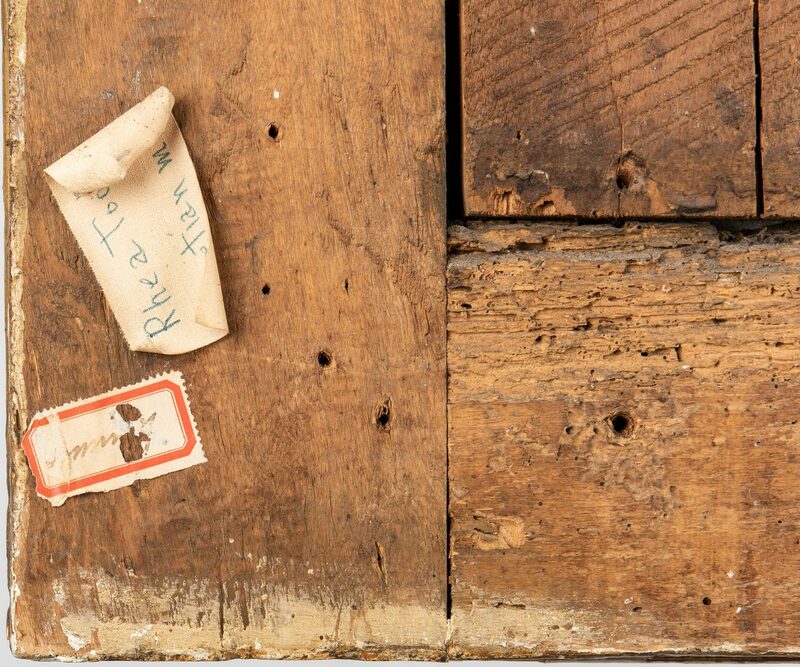 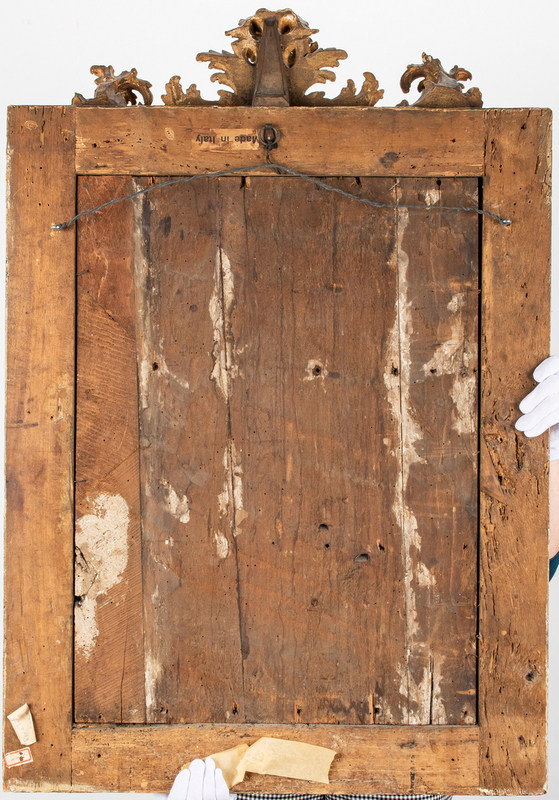 Provenance: Gallatin, Tennessee collection. 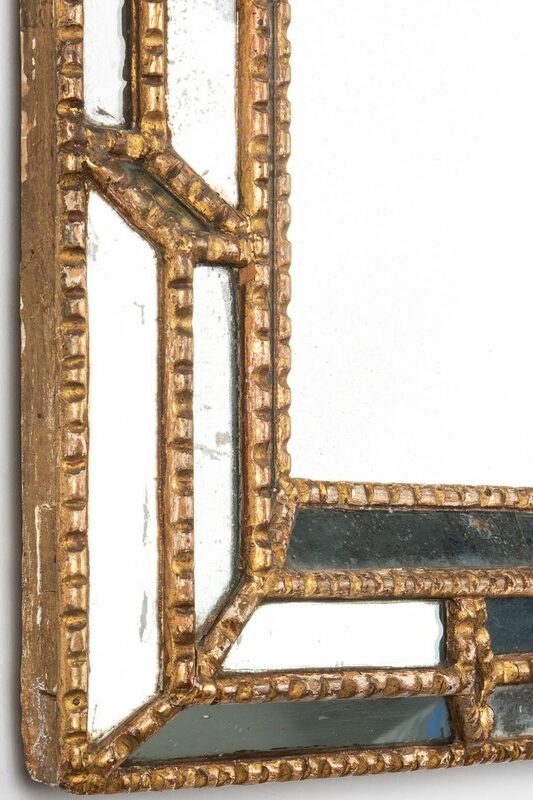 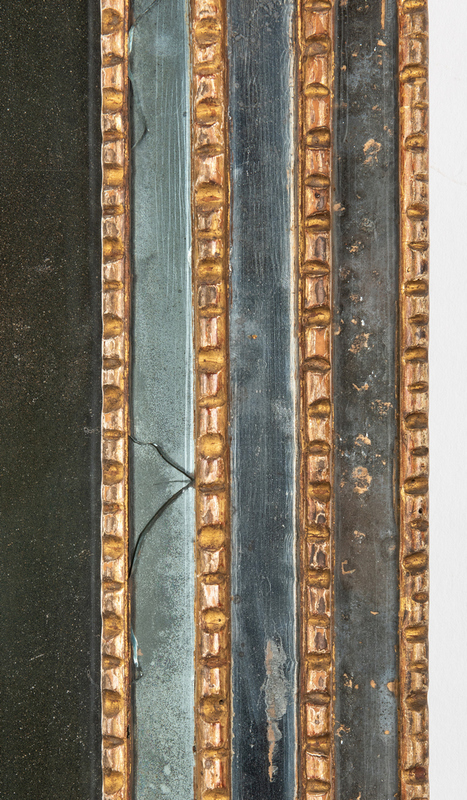 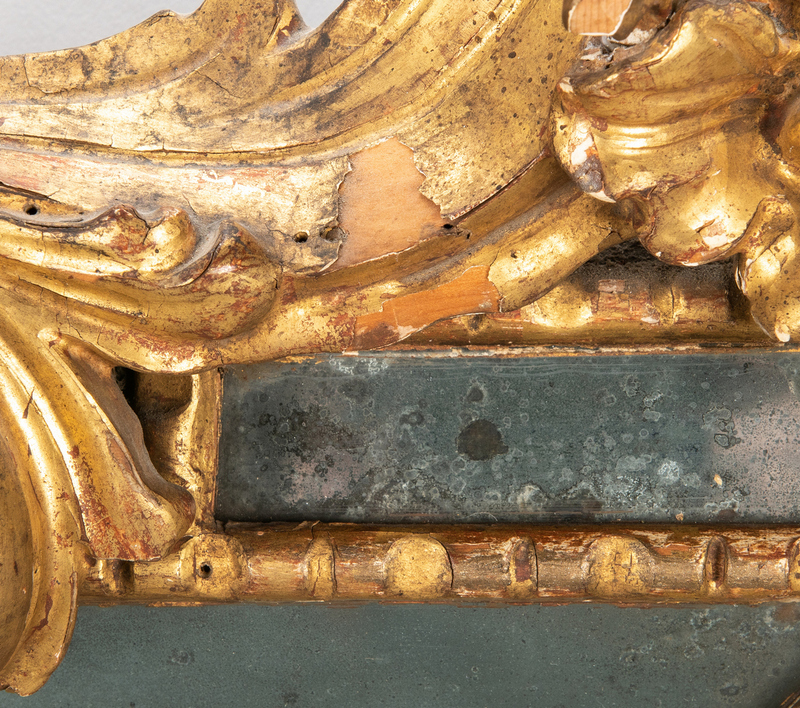 CONDITION: A few minor repairs to crest, a half dozen or so breaks to mirrored frame sides, scattered minor losses to mirror silvering.